How strong are you? 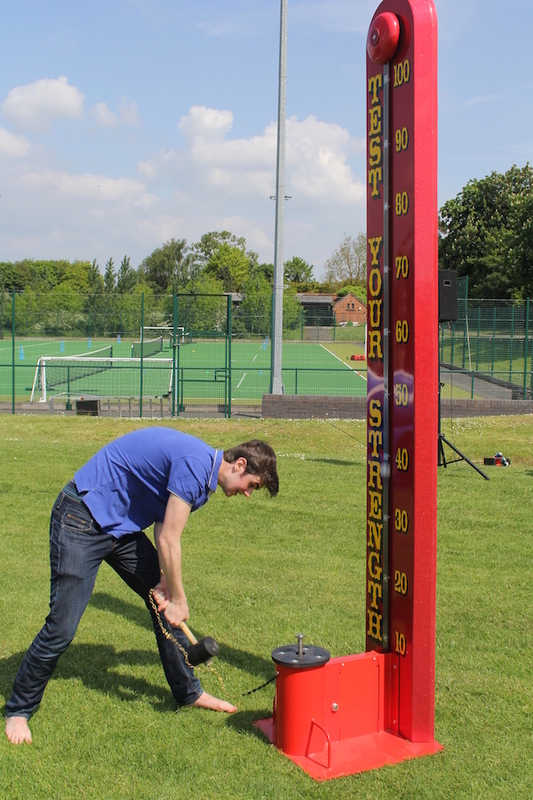 Now you can find out by testing your strength with our fabulous huge High Striker. 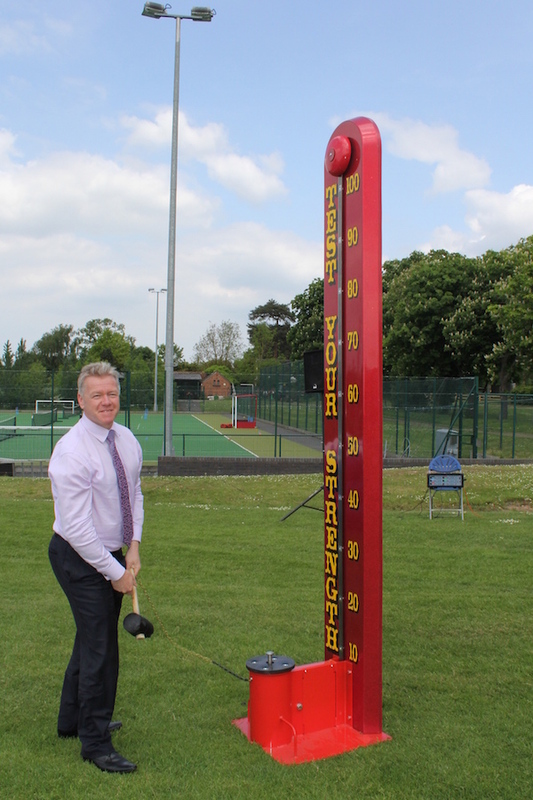 Recognised as a traditional fairground attraction, the High Striker will bring out the ‘strongman’ or ‘strongwoman’ in you. 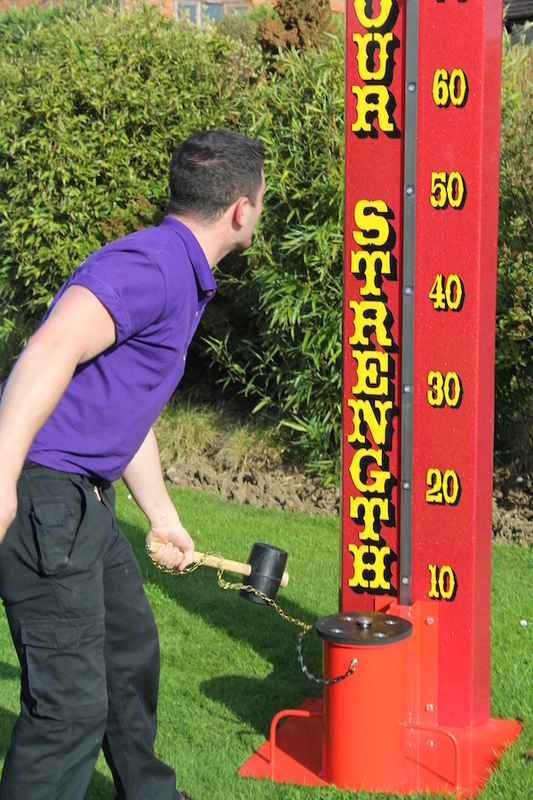 Players simply hit the button as hard as they can with the rubber mallet to send the metal mouse up the run to the very top and ring the target bell. 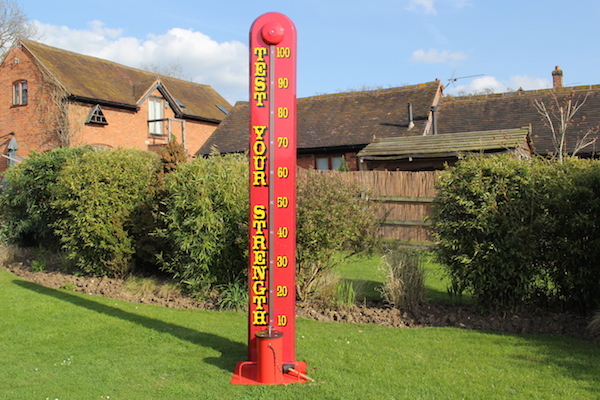 High Striker stands approximately 10 ft tall and is an ideal game to hire for fetes, fun days, corporate and fund raising events. It is enjoyed by adults and children and is also great for spectators. Easier settings are available for children. 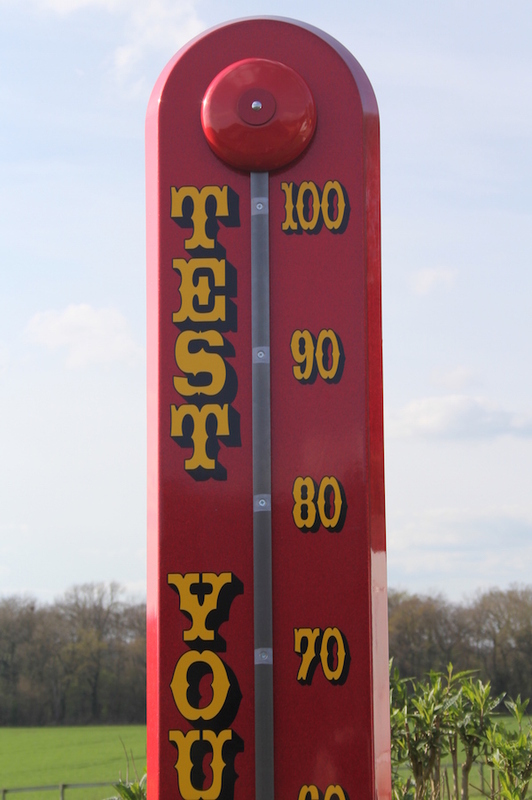 This game would be a great addition to our other side stall attractions we hire including Ball in The Bucket, Feed The Clown, Crossbow Shootout, Ring The Bull, Cactus Lasso and Splat The Rat. 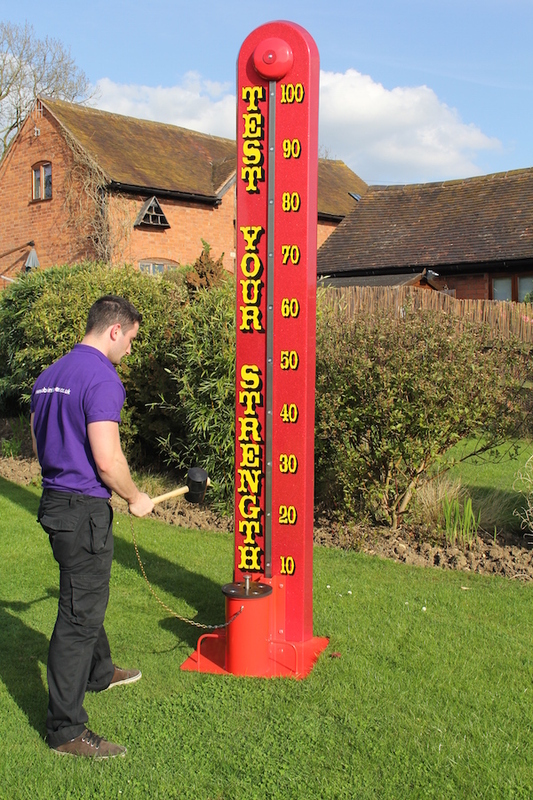 High Striker / Test Your Strength is available to hire in Worcestershire, Herefordshire, Gloucestershire, Warwickshire, Staffordshire, Birmingham and The Midlands. For all other areas in the UK and Wales, please contact the office as we also deliver nationally.